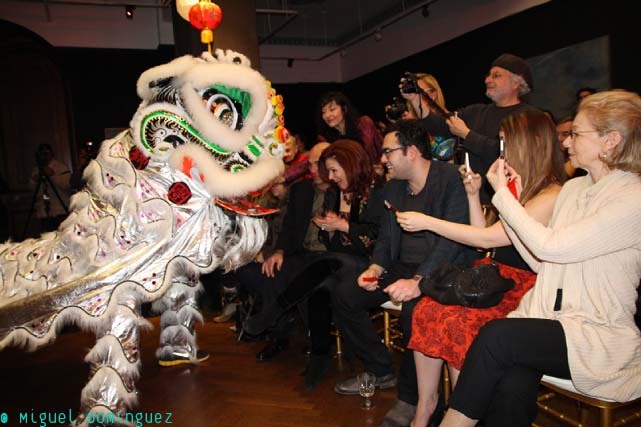 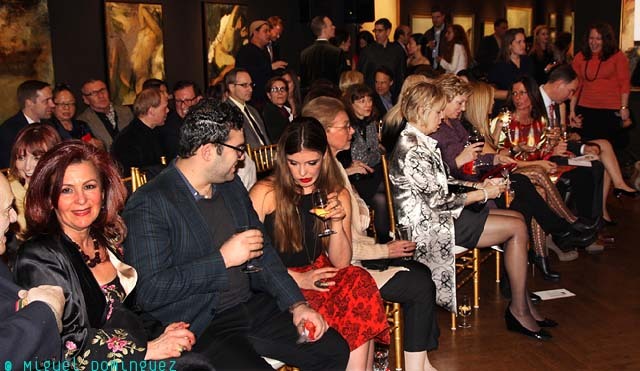 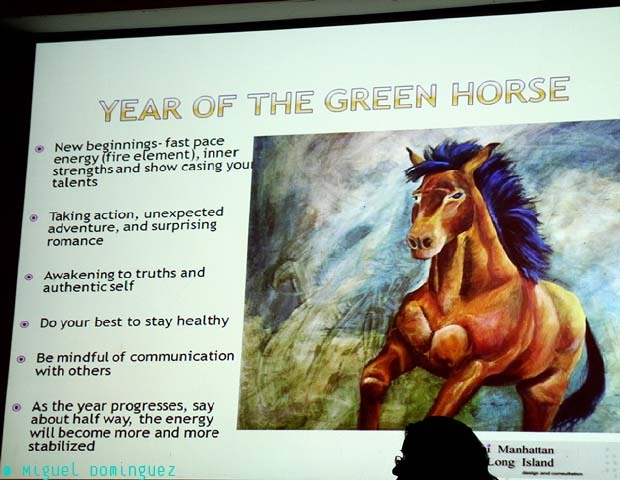 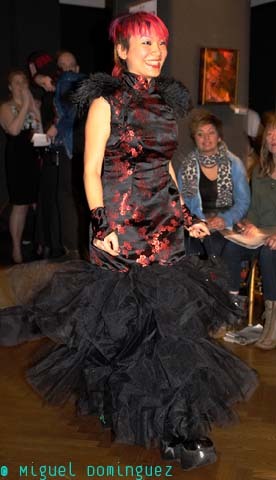 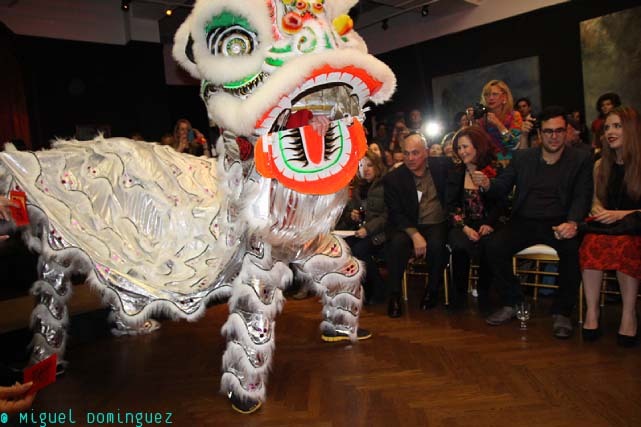 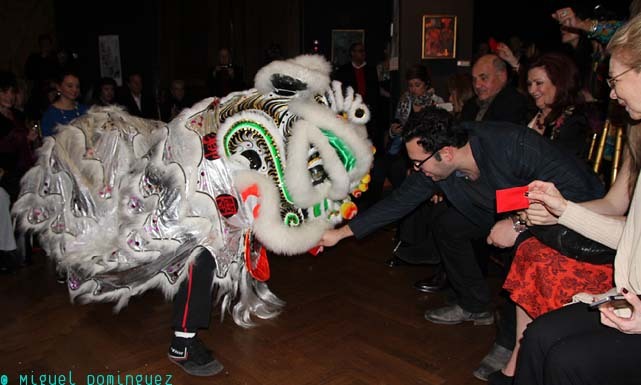 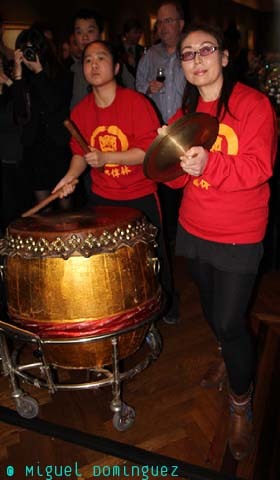 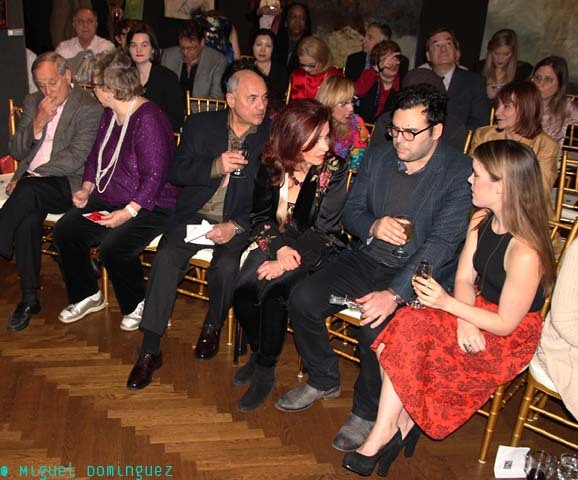 On february 20, the fashion Committee of the National Arts Club celebrated the Chinese Year of the Horse with a discussion of Chinese Fashion by Evie Evangelou, founder, president and global chair of U.N. Fashion4Development, a presentation of Feng Shui in Fashion, and ended with a Traditional Lion Dance, to bring good luck and prosperity for the coming year. 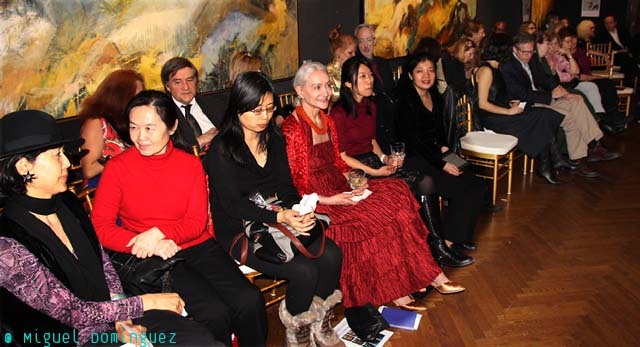 Fashion stylist, author and Chair of the Fashion Committtee at the National Arts Club, David Zyla, Master of Ceremonies and interviewer, and NAC Fashion Committee Member Angela Lui Introducing the panelists. 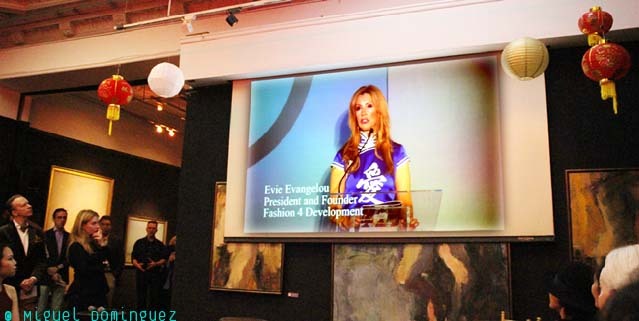 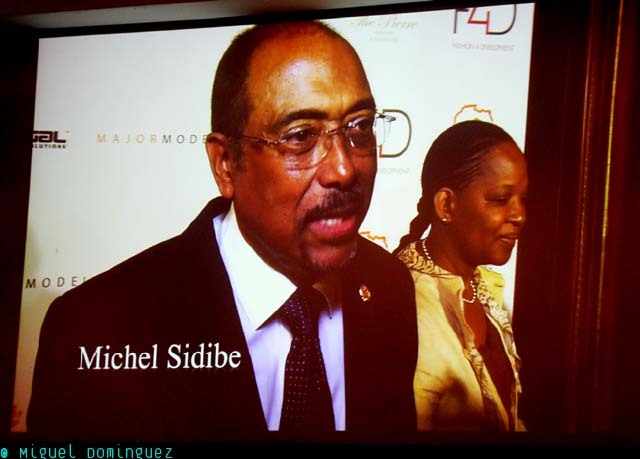 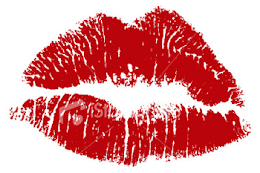 The purpose of U.N. Fashion4Development is to unite diplomacy, media, business and the creative industries to implement creative strategies for sustainable economic growth and independence among communities worldwide throught he expression of fashion. 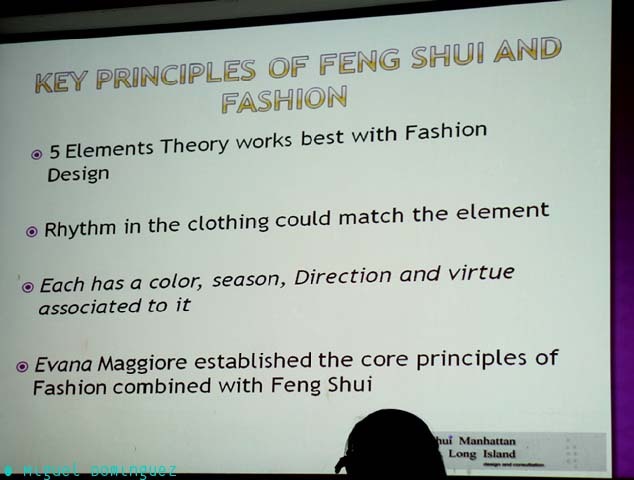 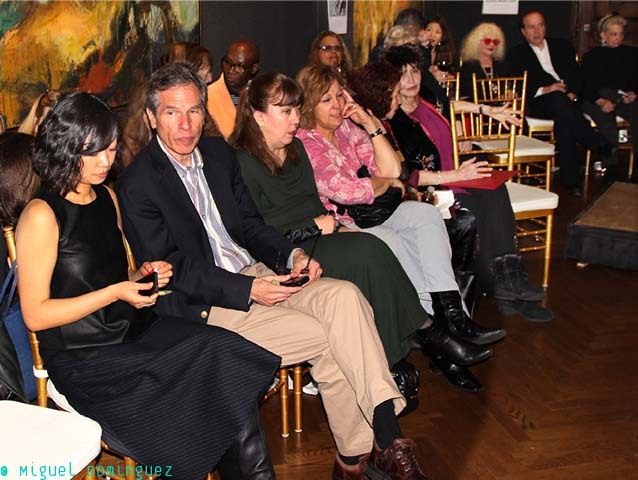 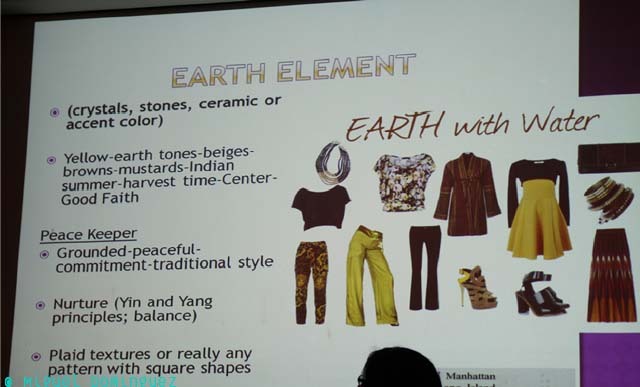 The Feng Shui presentation included the sartorial style of several members of the audience (of which I was one) being analyzed in the Feng Shui philosophy and aesthetics. 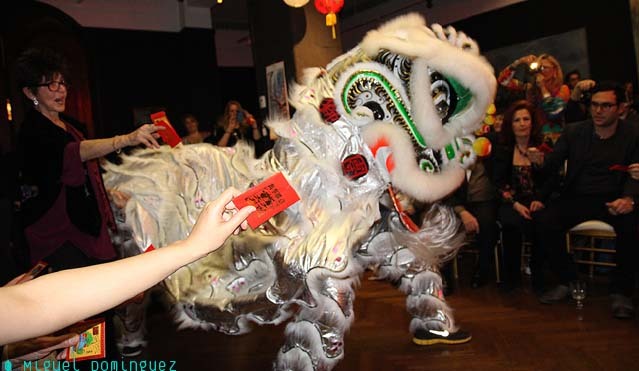 The event culminated with a traditional Lion Dance, a ceremony of great import in Chinese Culture, always used to bring good luck and prosperity at the start of new ventures. 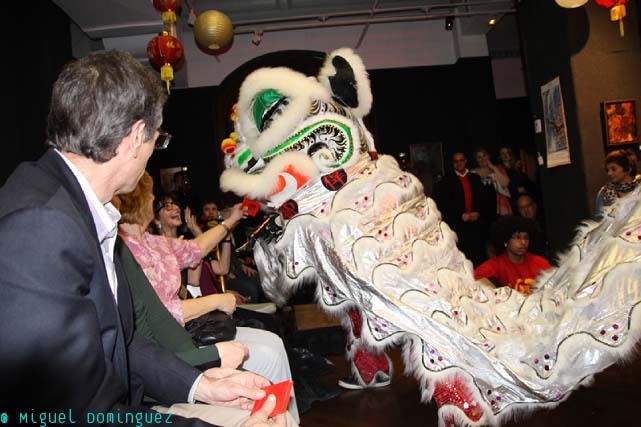 To see an earlier article I published on a Lion Dance at the opening of a Tea House in the new Chinatown of Flushing, Queens, click here.